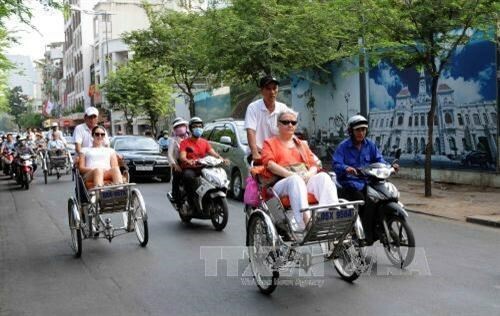 Hanoi (VNA) – The 15th edition of the Ho Chi Minh City International Travel Expo, the largest of its kind in the Mekong sub-region, will take place at the Saigon Exhibition and Convention Centre in Vietnam’s largest city from September 5-7. Speaking at a press conference in Hanoi on March 28, Director of the Ho Chi Minh City’s Tourism Promotion Centre Le Truong Hien Hoa said that the organising board set a target of attracting over 350 exhibitors, a year-on-year rise of 40 percent. The expo is expected to draw 250 foreign buyers from outbound travel agents in over 40 nations and territories, especially the four key regions of Southeast Asia, Northeast Asia, North America and Europe, to create a breakthrough in tourism promotion during 2019-2020. It is also hoped to attract around 35,000 visitors, up 25 percent year-on-year. The expo will include trading activities at booths to introduce destinations and tourism products of Vietnam and other countries in the Asia-Pacific region, and talks between sellers and foreign buyers and visitors. A seminar on cruise tourism, a tourism start-up forum and a photo exhibition will be held within the framework of the event.